CLICK FOR MORE> Angels Aquatic Artwork ArtInspired Asian Backpiece Biker BioMechanical Birds BugsNSpiders Celtic Children Christian Comic Book/Game Coverup Crosses Demons Dragons Elemental Faeries Fine Art Foliage Funny Girly Skulls Greek/Roman Grim Reapers Hearts Lettering Logo Mammals Military Movie/Celeb Music Mythical Native Nordic Other Cultures Portrait Repair Reptile Scars Skulls Sleeves Sports Traditional Trees Tribal Women <CATEGORIES! 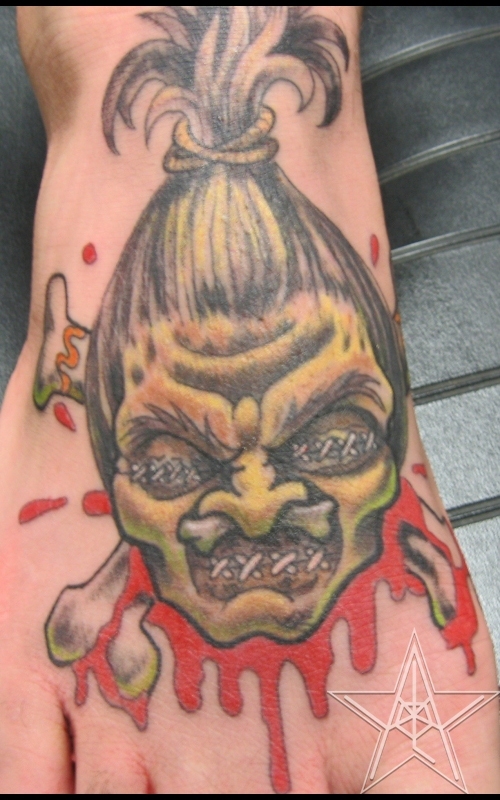 Dead Head Shrunken head tattoo. 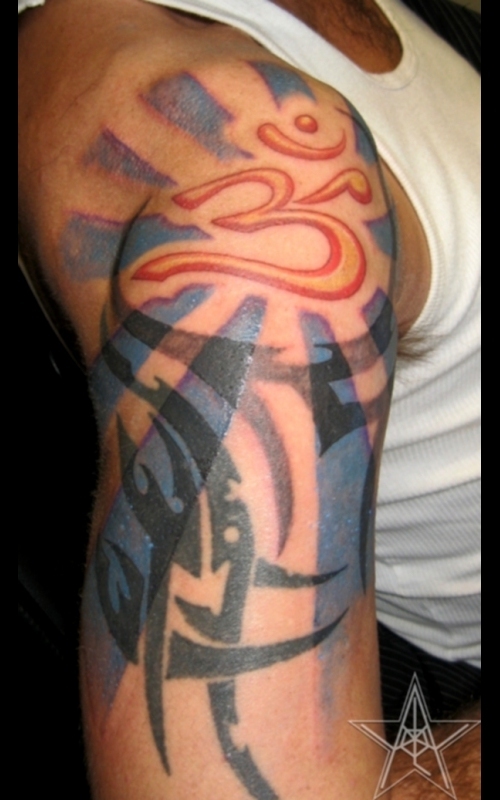 Ohm Ohm with light and tribal tattoo. 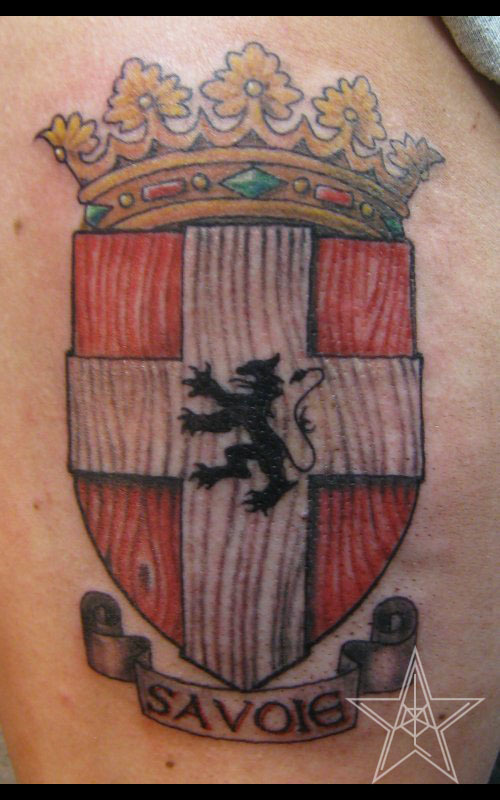 Crest Savoie family crest tattoo. 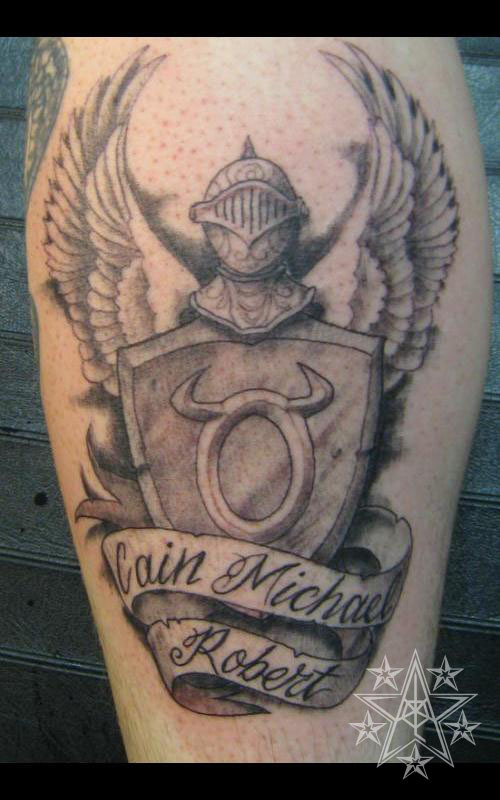 Knightly Astrology Taurus Shield with knights helm and wings tattoo. Cultural tattoos by Ray Reasoner Jr.
Business Hours: Mon-Sat 10am-10pm and by appointment only outside of that. 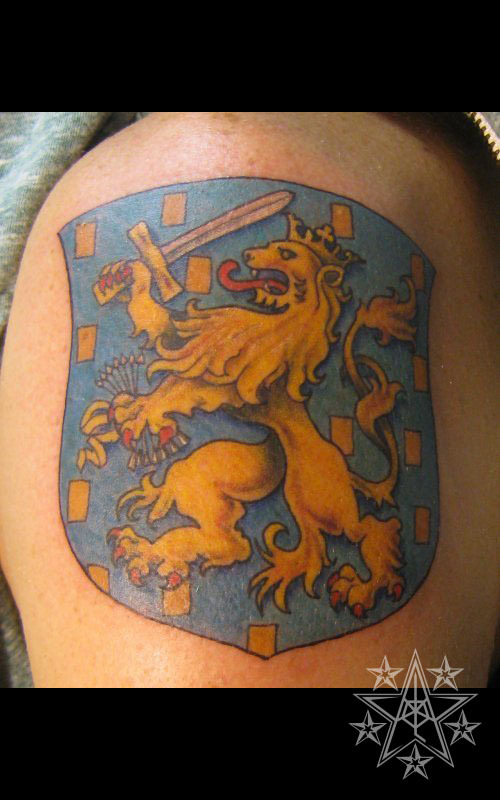 Tattoo walk-ins are typically Monday through Saturday 10am-3pm. Call for the piercer's schedule. Site and most graphics made and updated by Ray Reasoner, Jr. Portrait photography by Kevin James Blackmer or Trevor Dickerson from WideEyedDigital.